Squidworks has now released their PowerShell plugin for LabTech that will allow you to run basic Powershell commands on the remote computers under management. 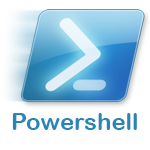 You no longer need to remote in to a server or workstation to run basic Powershell commands against that system. In this version we added a process to check to see if the computer is an Exchange server 2007,2010 or 2013 and if the system is a supported Exchange server then we will load up the exchange modules when we process your Powershell command so that you can take advantage of all the Powershell commands that the Exchange server provides. If we find the system is not an Exchange server we do not load any extra modules and run in a standard PowerShell. Added the ability to determine if we are an exchange server and what version, We will load Exchange Powershell modules if Exchange is found for that version. Setup terminal to grow and shrink with size of window. Changed formatting so it mirrors Powershell standard output. OMG!!!! I want to have your baby! 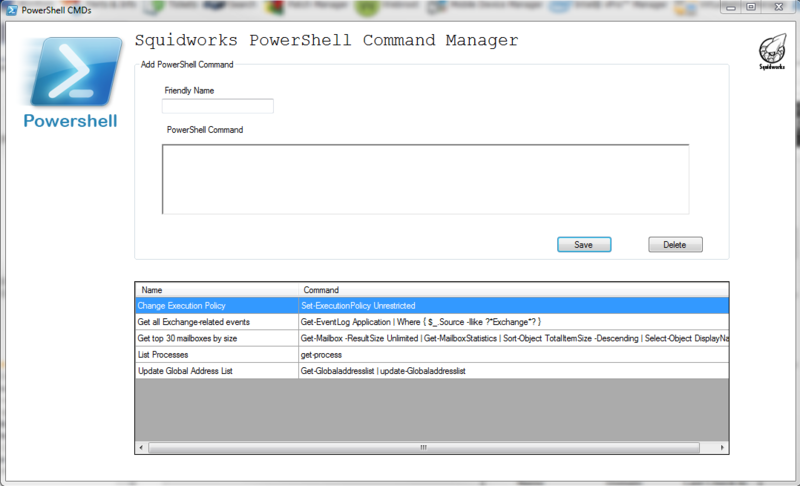 Hey, in Labtech you can use “~command here” on the CMD screen to send powershell commands. It’s not a real powershell interface though. Not having any luck with the Exchange commands. It looks like it loads the module ok, but then getting “Failed to connect to an exchange server in the current site” on every one I’ve tried. Am I missing something? I’v seen this on one of our Exchange servers, after some investigation I found it to be a error in one of the exchange security groups. The PoSh runs under the system account and so if your mail servers system account is not part of the exchange global group then access to module will fail. This only seems to happen with exchange systems that were upgraded as a schema change in the adprep fails to add system to this group. All direct installs seem to be unaffected and the schema for this group is correct. I installed the powershell plugin but i couldn’t find the “View” option to enable the command manager. Sorry we are new to Lab Tech. Could you please tell us where it is located? Never mind. I found it. I just had to reload system cache and reopen the control center. Thanks ! Does this plugin work for LT10? I just loaded the dll file on LT10 and it never showed up on the plugin manager. This is an AWESOME Tool !! It doesn’t work on Exchange servers. I keep getting the same error “Failed to connect to an Exchange Server in the current state”. I did confirm that the service account we use is part of everything on the Exchange server. That account has all the Admin privileges. Its still failing. Any thought ? Please let me know ! Thanks in advance ! Enjoying the plugin, thanks! Have one slight issue that appears when running commands via the plugin that I have confirmed works via the exchange powershell console. I receive the below error as it thinks im trying to pass the SBS as an argument. A positional parameter cannot be found that accepts argument ‘SBS’. Can we run scripts that are interactive and prompt for input? Will that appear in the script window? Is this plugin still being actively updated?